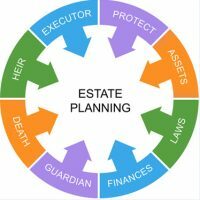 Just as a will advises loved ones on how you want your affair to be handled in the event of your passing, advance directives are estate planning documents that guide your friends and family members on your wishes in regards to end-of-life issues. In health situations where you are unable to communicate the type or the extent of care you want, advance directives spare your loved ones of having to guess as to whether you would want certain procedures that are life saving yet optional. This can ease the burden for them in having to make these types of decisions for you, while allowing you to retain control in matters you may have strong feelings about. Health Care Proxy: This allows you to name a health care agent who is authorized to make decisions on your behalf if you are unable to do so. Do Not Resuscitate (DNR) Order: This is used in situations involving catastrophic injuries, illnesses, and health conditions, and informs emergency workers, hospital staff, and health care providers of your desire not to be revived in the event your heart stops beating or you stop breathing. Living Will: Lets you outline the type of care you want or do not want if you are critically ill or injured and near death. The DOH points out that these types of documents are not only for those who are elderly or suffering from terminal illnesses, but can prove invaluable for people of all ages in the event the unexpected occurs. Resuscitation: You can elect not to be resuscitated, or to have doctors use techniques, such as either cardio pulmonary resuscitation (CPR) or a medical device that delivers an electric shock to your heart. Comfort care: In addition to addressing the amounts and types of medications that should be used for pain relief, this can address other issues, such as whether you should be released so you can die at home. To discuss creating a living will and other advance health care directives, call or contact Cavallo & Cavallo online today. We can arrange a consultation with our New York estate planning attorneys to help ensure you get the type of care that is right for you.